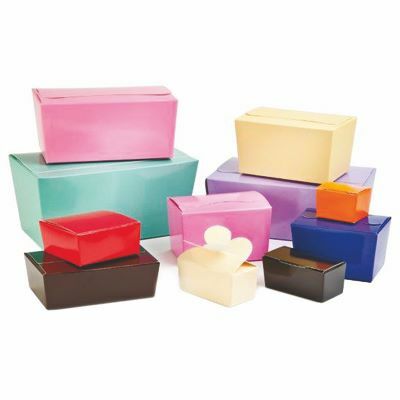 With 12 sizes available to order in twelve stunning colours, you won’t be struggling to find your ideal chocolate gift packaging in this eye-catching range of affordable, coloured ballotin boxes. With everything from buttermilk yellow and Easter green to aqua and electric pink to choose from, all in a soft gloss finish, you can be sure that your product will stand out in any retail space. 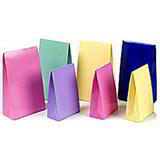 Please note that the 1, 2, 4 and 6 Choc ballotin boxes are supplied flat, although they are very quick and easy to assemble, while the others are supplied ready assembled, complete with glassine liner sets. 12 sizes x 12 colours = 144 great combinations! 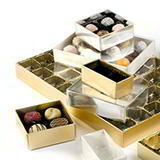 Please note: all internal surfaces on these ballotin boxes, including glassine liner sets, are suitable for direct contact with dry foods, chocolate and confectionery. Should you require enhanced grease resistance, we advise you use the larger boxes as the glassine liner sets do offer grease resistance. 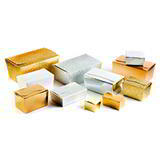 These ballotin boxes are a special order; please allow up to two weeks for delivery.